It's a POWDER DAY! We had 14" of snow overnight, our base is at 37". Another 2-4 inches is expected today. 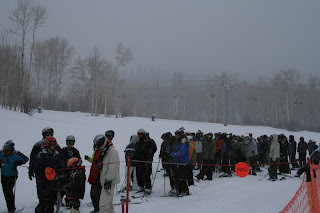 Everyone could definitely smell it in the air as there was a good sized line waiting for first tracks. If you can't make it up today, it should be a great weekend!